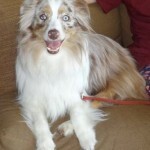 Cady is a four year old mini Aussie who came into BARK 20 pounds over a healthy weight for her. Her foster mom worked hard over several months to get her down to 25 pounds. 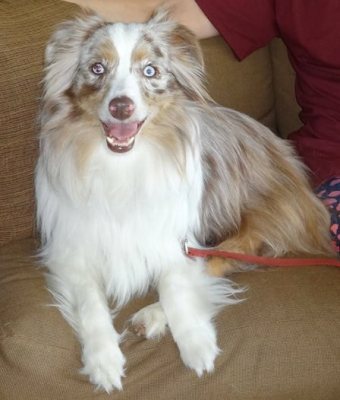 Cady had an injured leg, which turned out to be a ruptured anterior cruciate ligament and is scheduled to have it surgically repaired on October 14. After she recovers Cady should live a pain-free life. Stuart Sound Animal Hospital in Stuart, Florida is doing the surgery at a discount for BARK, but it will still cost over $1,000. Please chip in towards Cady’s bill. Thanks to Stuart Sound for your support of BARK! We are currently having issues with our PayPal button, but you can still donate using PayPal. Just do a transfer to BARK’s PayPal account using the email alaussierescue@aol.com.